A-AMP Electric is an authorized dealer, installer and service technician of Generac Brand Generators. 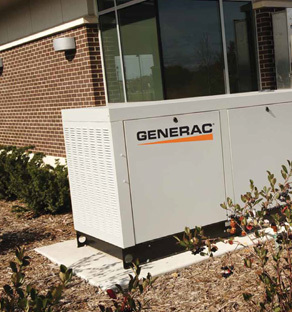 We offer convenient one-stop shop service – when you purchase your Generac Generator with us, we will also install and maintain it. Our portable generator solutions operate with regular gasoline and our automatic generators run on LP gas or Natural gas. A-AMP Electric handles everything from delivery, installation, electrical wiring, as well as fuel and site work. Call us for a complimentary power evaluation to determine what size generator would best suite your home. Full service generator installations with electrical, site work and fuel options available. Factory trained serivice technicians available 24/7. To view a selection of Automatic Standby Generators follow the links below. 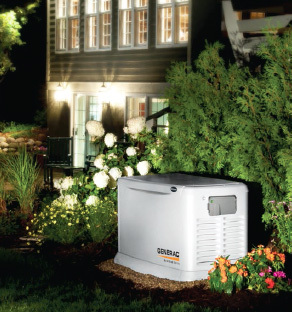 Generac's broad range of choices in automatic standby power and portable generator lines allows you to choose enough protection to back up eith a few essential circuits or your whole house. For 24/7 protection from power outages.